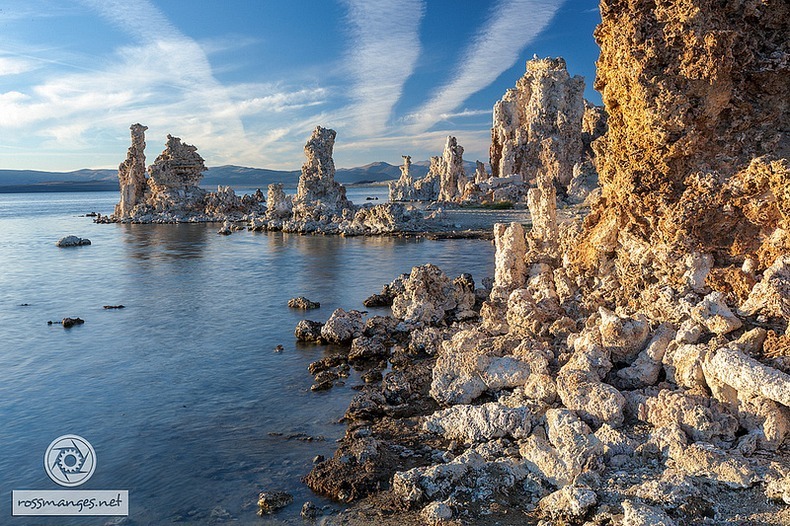 Mono Lake is a shallow salt water lake located in the high desert on the eastern slope of the Sierra Nevada Mountains, in California in the United States. The lake has no outlet to the ocean causing high levels of salts to accumulate in the waters. As a consequence of its high salinity, no fish live in Mono Lake, but there are plenty of brine shrimp that thrive in its waters. Over two million annual migratory birds use Mono Lake as a stop over and resting place as they fly to South America or the tropical oceans. They feed on the shrimps, lay eggs and hatch their young ones here.